The Wilmington Oral Surgery team has been solving dental challenges with implants for over a decade. Hundreds of satisfied patients have gotten a new lease on life through artificial tooth roots permanently embedded in the jawbone. Not only do implants restore your smile, they allow you to eat and chew normally again, which helps with weight maintenance, a well-functioning digestive system, and whole body health. Implants also help preserve bone and tooth health when compared to other solutions for missing teeth. we highly recommend implants. They preserve your jawbone and facial structure–which dentures do not. They feel and work like real teeth, fit securely, don’t require creams or adhesives, are long-lasting, and are as easy to care for as natural teeth. When a tooth is missing, the teeth around the open space get undue stress. Cracking and stress caries can result. People with several missing teeth often chew only on one side, which can lead to TMJ, and/or a weakening of bone and gum tissue on the non-chewing side. Implants fuse with the bone of your jaw (replacing teeth roots), helping to keep the bone healthy, and saving the rest of your teeth. Bridges and dentures provide none of these long-term benefits. Implant technology keeps improving, simplifying the process of placing implants, shortening healing times, reducing complications, and providing better, more predictable results. Better design. While the BLT can be used in virtually all implant situations, the tapered design makes it great for situations involving soft bone or fresh extraction sockets where stability is key. It can be placed right after a tooth is extracted, reducing the number of times you need to return for additional procedures. Smaller. The BLT line is less invasive, due to a new high-performance material that provides the stability of older designs in a smaller implant. Easier to handle and place. Of all the implants we have used, the BLT system is the easiest to place. Quicker, more precise placement saves you time in the chair. Less impact on the gums. 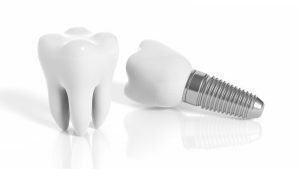 BLT implants match the abutment (connector between the implant and prosthetic tooth) profile, reducing gum trauma, simplifying soft-tissue management, and improving comfort through less soft tissue contact. Better bone preservation. Straumann’s unique design helps maintain bone health. Better results. Because of the patented BLT surface, bone regrowth is predictably quick. Healing times are shorter, and results are usually excellent, even at compromised tooth sites. Lifetime guarantee. Straumann implants come with a full guarantee, so you know your smile investment is protected. Because of material and process innovations, getting implants is a simpler process than it was even five years ago. Once the surgery site has healed, most patients forget they even have implants! We have the best results when patients come to us as soon as the need arises. When the bone and gums are still relatively healthy, the implant process is usually free of complications. Ask your dentist about implants, or call Wilmington Oral Surgery for a consultation as soon as you think you might be an implant candidate.